I got love for her but *******. I would **** her but she came after Queen Kam / Slayvia & we can't have that. She would get pumped & dumped with the quickness tho. I’m so curious what she did to get all that drama. 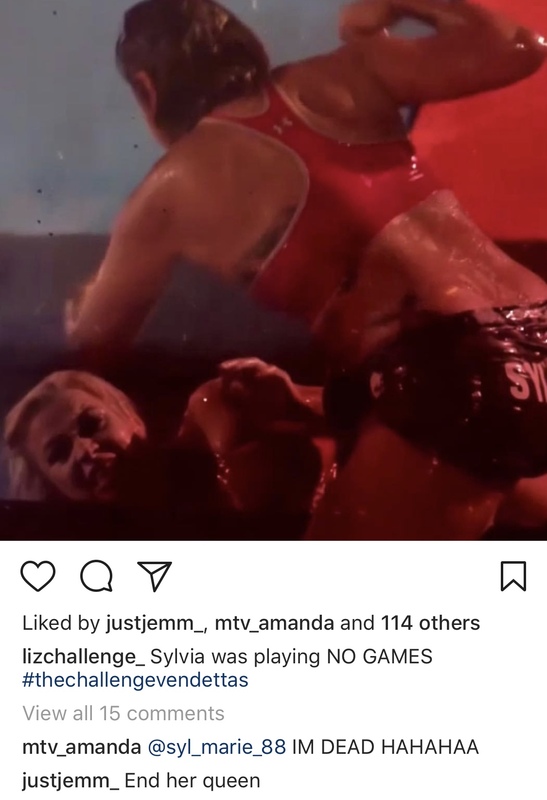 Like Sylvia/Jemmye/Kam/ and possibly more not liking her. Hopefully production shows it. Amandas reaction is me, I hope we get to see more of Mel poppin off on everybody in the next episodes. Graphik wrote:I would **** her but she came after Queen Kam / Slayvia & we can't have that. She would get pumped & dumped with the quickness tho. I'm always talking about the girls for a reason lmao you've never seen me talk about the dudes the way some of the other posters do. I'm always talking about the girls for a reason lmao when have you've never seen me talk about the dudes the way some of the other posters do. Tbh you and hardbitten and some other are kind of the same person to me from all our arguments so i just figured you were all gays together. Sorry dude wasnt meant as an insult, lets just apreciate this grade a brit together. She does not look like most of the ones i have run in to. Lmaooooooo nah I didn't take it as one. They could've had that hideous Jemma girl instead so if nothing else, Melissa will be eye candy. Already in love with her. Lookinn like a damn SNACK! She said she passed out after the challenge at the house. Legend needs her rest! I see Emotional is still trying his hardest to be a troll! When will you give up? All your attempts have failed. I see Emotional is still trying his hardest to be a troll!When will you give up? All your attempts have failed. "Tbh you and hardbitten and some other are kind of the same person to me from all our arguments so i just figured you were all gays together." like what are you trying to say here? I can't tell if you're trying to troll or doing your many sad attempts at getting underneath my skin. hardbitten wrote:I see Emotional is still trying his hardest to be a troll!When will you give up? All your attempts have failed. "Tbh you and hardbitten and some other are kind of the same person to me from all our arguments so i just figured you were all gays together. "like what are you trying to say here? I can't tell if you're trying to troll or doing your many sad attempts at getting underneath my skin.